Hey everyone! I am so excited to be a part of the Go To Sew Show & Tell Series. 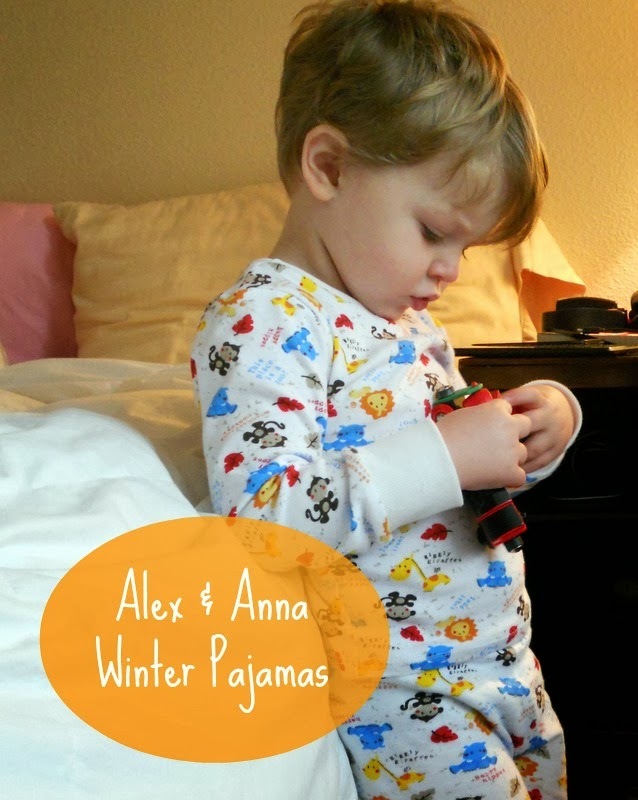 I had the opportunity to make the Alex & Anna Winter Pajamas pattern and it was fantastic. My son just turned 2 in August and he has outgrown most of his pajamas so these were exactly what he needed. What I loved most about the pattern is how easy it is to follow. The author gives several pointers on how to sew with knits, and each of the steps has a picture to accompany it. The pattern ranges in size from 6 months to a kids 8, which is awesome because you can get a ton of use out of one pattern. I made my son a size 3T so that he can wear these a bit longer since he is already growing out of his 2T clothes. I got the adorable animal knit fabric at Joann's the other day, and my son was the one who picked it out. He loves animals and especially loves giraffes so it was no question that I had to get this fabric. I also got the rib knit for the cuffs and neckline at Joann's too. Here you can see the top-stitching along the collar. I put these pajamas together with my serger and then did the top stitching on my regular sewing machine with a double needle. Don't worry if you don't have a serger, these pajamas can be sew together on a regular machine too and the pattern tells you how. My munchkin loves these so much that he doesn't want to take them off. I guess I need to make him a few more pairs.